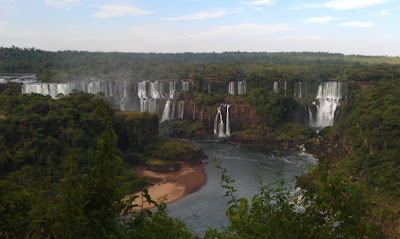 The Travelling Coeliac Environmentalist: OMG Iguazu!!!! 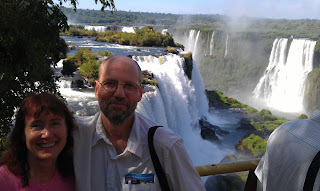 Wow, there are not enough adjectives in the English language to describe the day I just had at Iguazu Falls. Mother nature sure outdid herself here. First impressions made me think of Jurassic Park. The day started with the speed boat run at the falls. If they say you will get a bit wet then that is an understatement, we got a lot wet! They pushed the boat twice so far into one of the falls (Iguazu is HUGE with tons of falls), that it is like a shower on full bore, we were soaked. The day proceeded by the use of set walking trails and park train to the many different parts of the falls for some absolutely awe inspiring, captivating, hard to pull yourself away from views, culminating at the 'devil´s throat'. We spent the whole day there and you will need that at least. The boat ride is mandatory, you have got to do it, it´s brilliant. It is hot, hot, hot here so be prepared for a long steamy day with lots of walking, but it is worth it. One of the seven natural wonders of the world and after this I want to see the other six this year. I have some amazing pictures but I did not take my phone so may not be able to upload any until April. 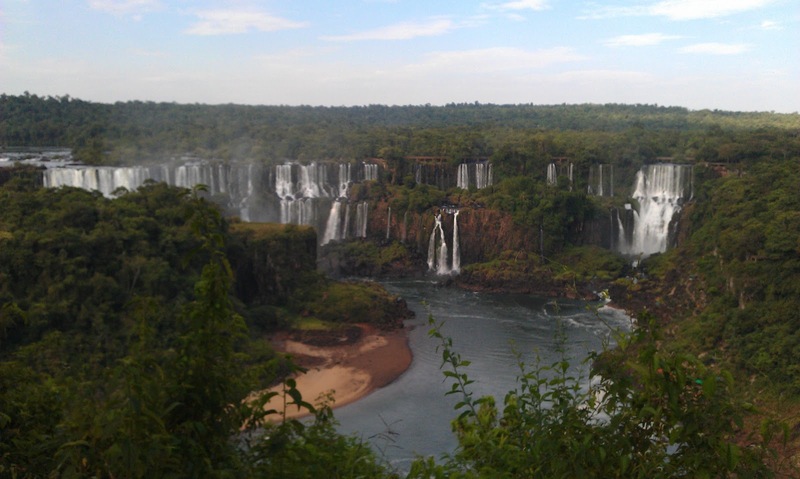 Day 2 - Yesterday was at the Argentinian side of the falls and today we went to the Brazilian side. For sheer splendour of the breadth and depth of the falls this could not be beat. While the Argentinian side lets you get up close and personal, this side gets panoramic. It is like a wall of waterfalls going on for kms. To get Elizabeth away from them I practically had to fling her over my shoulder. They have walkways going out so that you have waterfalls underneath you and all around you as far as you can see and you get soaked from the spray. Wow sounds spectacular! Looking forward to more pics!